How did Christina Aguilera Lose the Weight (2013) for Real? Have you seen Christina Aguilera lately? She’s back to her ‘genie in a bottle’ form and looking great as compared to where she was just a short year ago. The powerful singer reportedly dropped a ton of weight – but as to how she did it? She credits some yoga, smiling, time off, etc. and a bunch of other bogus things. Look, you don’t just drop as much weight as Christina has by laughing, smiling and doing some yoga! That’s total B.S. and everyone knows it. Noone will know exactly how she’s done it, even if she does give some more details into her regimen. Remember Tori Spelling’s revelation a few weeks back about how she totally fibbed about dropping the weight through diet and exercise, when really she just stopped eating everything in sight. Did Christina Aguilera have surgery? Did she starve herself or overexercise for hours on end to whittle down her waist? It’s probably a combination of all three! However, if you want to lose weight like Christina did you can do the same. It’s as simple as increasing your energy expenditure (moving more when not exercising), exercising (doing at least one hour of exercise a minimum of 4 times per week, and watching what you eat (cutting out sugar, carbs, lots of salt, unprocessed foods). Of course, there are some other tricks that celebrities have up their sleeves when it comes to shedding weight fast and furiously. 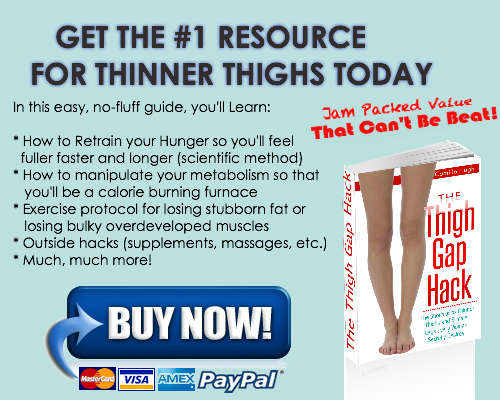 I cover a lot of these things in my book, “The Thigh Gap Hack”. So if you want to speed up your weight loss and get back into your fighting form, make sure you buy the book and make following the tips in it your new year resolution. P.S. – My next cardio dance workout video routine will be to Katy Perry’s “Dark Horse’ so make sure you check back in 2014.